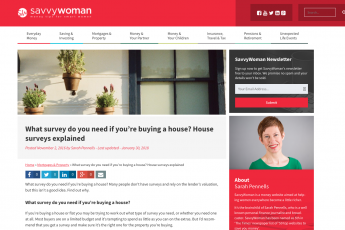 Savvy Woman is a leading financial advice website, fronted by finance expert Sarah Pennell and targeting a female audience. The existing website was struggling to grow in terms of traffic and rankings, driven primarily by a lack of mobile usability and search focus. Impression completed a full redesign and development of the site using a mobile-first approach and both traffic and rankings have improved significantly as a result. 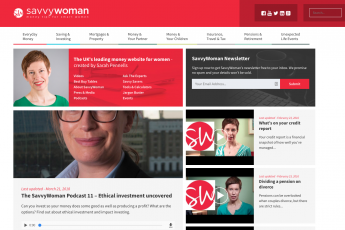 The Savvy Woman website was struggling to grow due to a lack of mobile usability, poor user experience and dated design. The site was built on a custom management system that didn’t cater for the heavy editing needs that the client required, meaning keeping the site updated was at times a challenge. 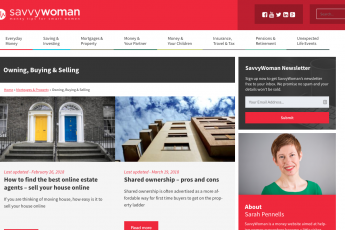 We were approached by our client to produce a concept for a new, mobile-first design which would provide a much needed user experience improvement with search visibility in mind. We were asked to recommend a content management system which would be able to handle the websites growing needs and make content upload much easier. Our strategy was to rebuild the website on an easy to use platform, WordPress, which would allow the level of content management that the client required. WordPress also allowed us to target areas of the site from a marketing perspective that the previous site struggled with due to the site architecture. To make it easy for our client to create content and also to format it in various, visually appealing ways, we configured multiple custom post types and combined this with additional fields to create a completely intuitive management system.